Here are two recent images taken using the mini-WASP parallel imaging array at the New Forest Observatory. 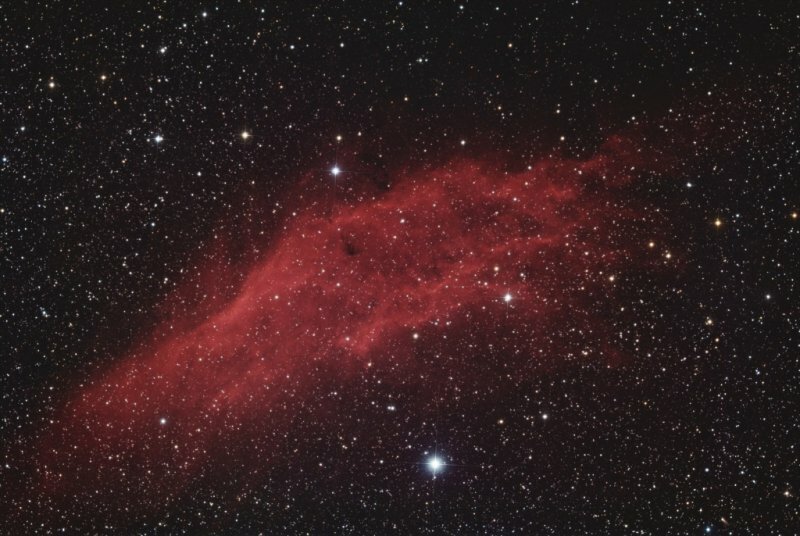 The red emission nebula is the California nebula in Perseus and this is a work in progress as this is only 6 x half hour RGB subs at present. I will also be grabbing H-alpha, H-beta and even more RGB on this one when the weather permits. 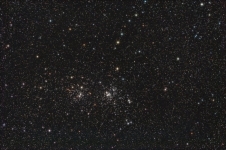 The Double Cluster also in Perseus, is the lower half of a 2-framer I am putting together which will show the Double Cluster together with the large open cluster Stock 2 which lies north of the Double Cluster. I only need to grab an hour of actual imaging time to finish this one off. 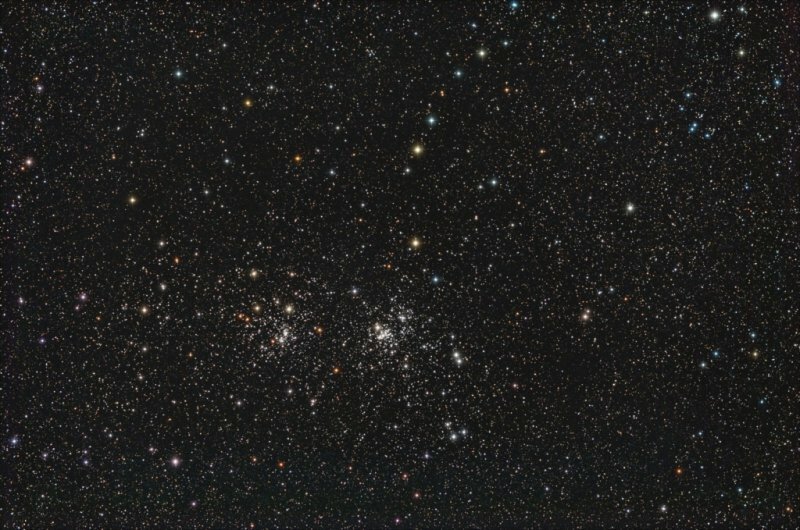 Both images were processed by Noel Carboni in Florida, U.S.A.
Well we have the early dark evenings, now all we need are some clear Moonless skies to go with them.